Global warming has been a hot-button controversy for years, but there’s a new app that could end the discussion once and for all. Novim, a research group from UC Santa Barbara, took on the daunting task of wrangling data from more than two centuries of research into Earth temperatures from its Berkeley Earth Surface Temperature (BEST) study. Using that, the group developed an iOS app called “Just Science” to visually display the changes. Eighteen months’ worth of work went into the application, with researchers going all the way back to the year 1800 in its data quest. So where do we stand? 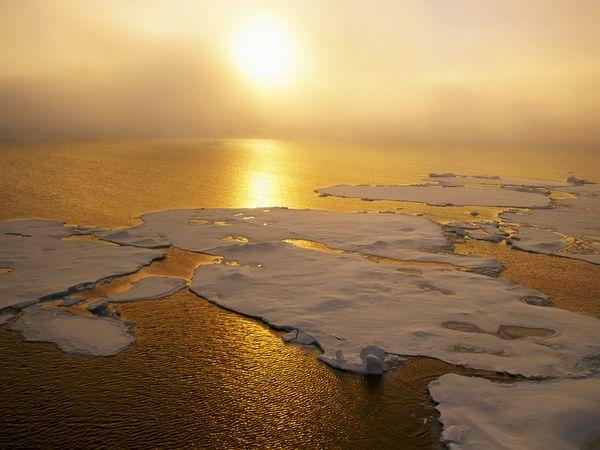 Well, according to Novim’s Michael Ditmore, our planet is indeed getting warmer. Over the past 50 years, the temperature has heated up by approximately six tenths of a degree. “Not spectacular, but significant,” Ditmore told TechCrunch. Pardon me for arguing, but that seems very spectacular. Sure, the Earth goes though periods of warming and cooling on its own, but for a planet that’s about 4.5 billion years old, a global temperature shift over a mere five decades looks rather swift and stunning to me. Then again, I’m no scientist. Good thing the Intergovernmental Panel on Climate Change is full of them, and here’s what they say: The planet’s temperature has definitely warmed. Over the last 100 years, there has been a change of roughly 1.33 degrees Fahrenheit (0.74 degrees Celsius) on average, with more than half of that occurring since 1979. To them, this means the temperature shift is actually happening quite fast. Well, variations over interpretation are bound to come up, but what’s indisputable is the data. And the Just Science app will be able to continue putting all those bits together, thanks to winning a $40,000 grand prize in the category of mobile application in the American Clean Skies Foundation Awards. 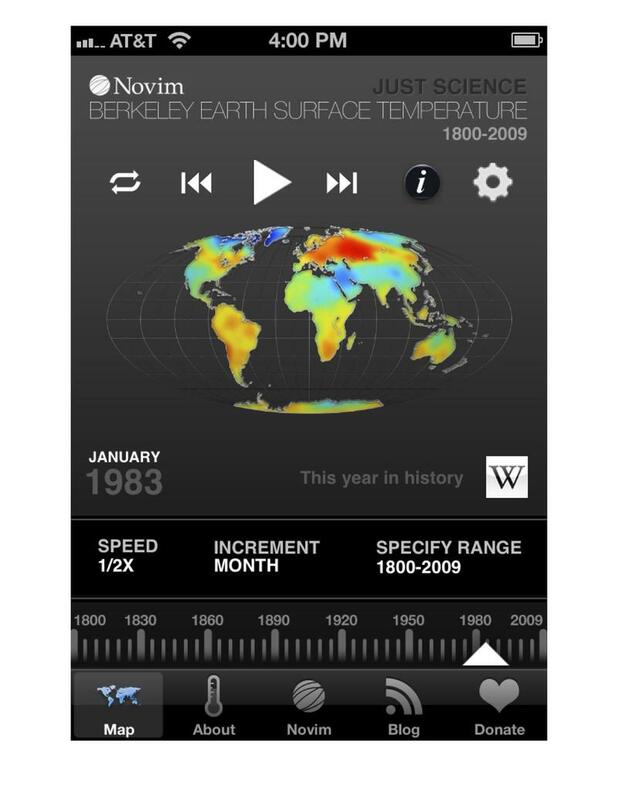 Novim’s app features an interactive visualization, or color-coded video map, of the planet that illustrates how the land surface temperature has changed between 1800 and 2009. iPhone and iPad users can check out details by zooming into specific regions, speeding up or slowing playback, and or hitting up linked Wikipedia historical references. The Just Science app is free and available from Apple’s App Store.